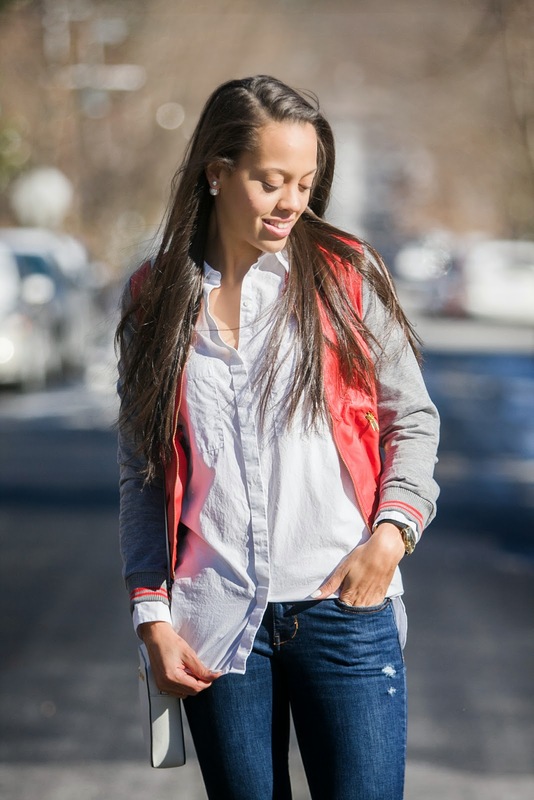 Keeping it sporty again today on the blog to introduce you all to Dana-Leigh Apparel. This time of year is when I start to get excited about Spring being just around the corner, and look forward to a good Spring closet purge and then shopping spree! With all the snow DC has received this year I am craving Spring even more than usual. 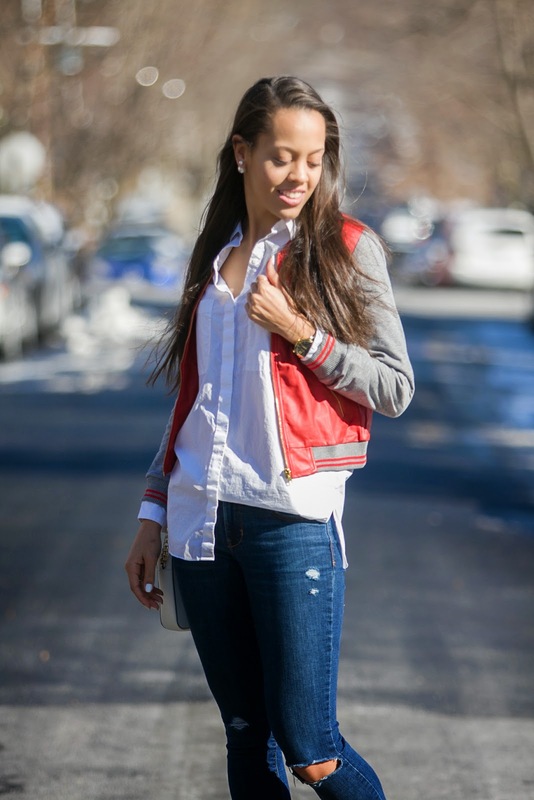 This baseball style leather jacket screams Spring to me, and the red and grey combo, convinced me it would be an essential piece in my closet next season and again in the Fall. If you haven't checked out Dana-Leigh Apparel you need to peep their amazing selection, what's even better is their new Instagram page (@shopwholesale23) where you can shop their apparel and accessories SUPER cheap! What are your current spring cravings? Linking up with Look What I Got, What I Wore to Work, WIWT, and Throwback Thursday! Those jeans fit you really well. Love your simple yet so chic outfit. Happy Thursday! Love this sport chic outfit!! I have been wanting a pair of white chucks - think I should take the plunge one of these days.